The following jobs outline payroll positions for the Payroll Systems Learning Path. Their job descriptions will aid in determining which Learning Path best fits your needs. Uses computer terminal to input payroll data. Deciphers, translates, and codes complex alpha numeric payroll data and verifies input for accuracy and completeness. Does not require knowledge of payroll processing. Generally requires 1 to 2 years of related data entry experience. Acts as liaison between payroll department and data processing, systems, or Information Systems department to ensure payroll staff understanding and implementation of payroll system requirements and revisions. Works closely with payroll staff in identifying need for system revisions, formulating system requests and recommendations, and analyzing post-implementation results of system changes. 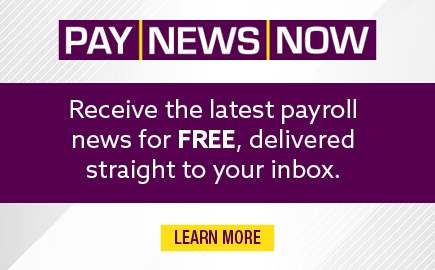 Keeps payroll staff informed of easier, quicker methods available for their use. Requires 3 to 5 years of experience with automated payroll systems and extensive knowledge of specific payroll systems. Generally requires excellent written and oral communications skills. FPC or CPP designation preferred. Prepares detailed design and program specifications for automated payroll systems. Verifies and evaluates payroll program specifications created by programmers. May provide work direction to programmers. Implements and maintains payroll systems developed in-house. May implement and maintain payroll systems purchased from outside vendors. Prepares feasibility studies of potential systems modifications and changes. 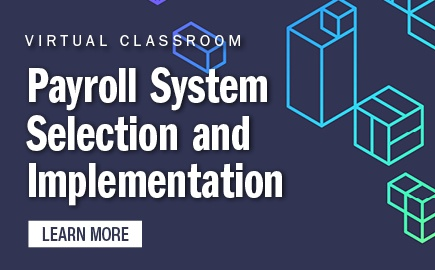 May act as liaison between payroll and systems to ensure documentation of system functions and capabilities and to facilitate the training of payroll staff in the use of the automated system. Generally requires 3 to 4 years of related experience as a systems analyst and may require specific training in payroll and accounting systems. FPC or CPP designation preferred. The web-based Knowledge Assessment Calculator(s) helps identify the payroll knowledge required for an entry-level payroll position. Use this tool to set a baseline for the Learning Path and return to it at any time to evaluate your progress. 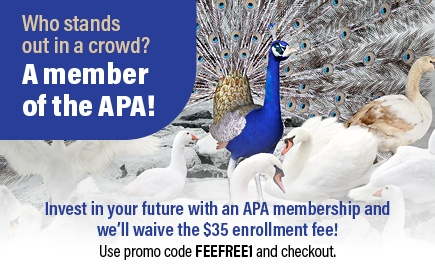 Instructor-led core competency education from the APA is offered both in-person and online. Stay abreast of the latest compliance and industry trends by taking advantage of compliance education. Attaining the Fundamental Payroll Certification (FPC) verifies fundamental payroll knowledge, skills, and abilities and is a career credential widely recognized by the payroll industry. 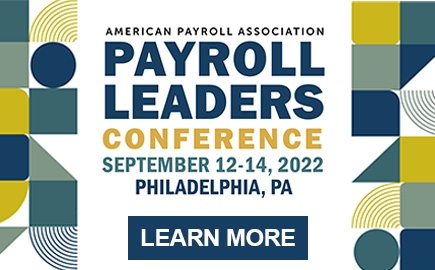 Attending conferences is a great way to earn continuing education credit toward recertification, meet other payroll professionals, and stay up-to-date with the latest in payroll industry trends, compliance, and hot topics.